STARTING TODAY: Enjoy The Best Sleep Of Your Life With Our Blackout Curtains! Grabbing a good nightÍs sleep is highly important to our health! And our premium thermal insulated blackout curtains will help you sleep like a baby! The Curtains That Every KidÍs Room Needs Our premium thermal insulated curtains are also ideal for protecting your little ones! Babies and small children can be disturbed at the slightest sound and wake up! Our curtains can help you offer your baby complete serenity so that they stay at peace and enjoy that much needed nap. Get The Best Rest Possible And Enjoy Feeling Rejuvenated ThereÍs nothing more annoying than not being able to get some much needed rest after a long and hard shift. Our premium blackout window curtain panels are 100% made of high quality, durable Polyester that is thermal insulated and will keep 97% of sunlight outside your room. Furthermore, our window curtains are a must have for light sleepers as they can greatly benefit from the noise blocking capabilities that will keep loud noises at bay. 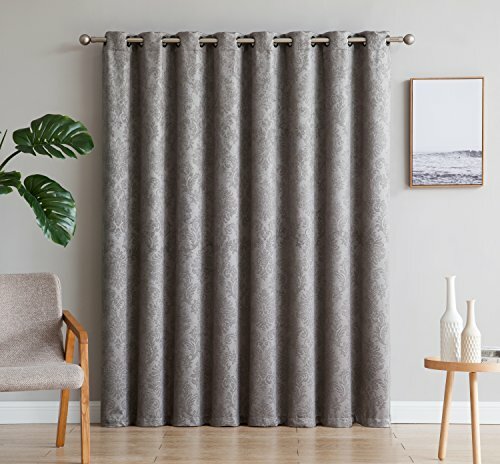 Plus, these curtains can help make a positive difference in your householdÍs budget as they will keep your house warm during the winter and chill during the summer as you save up on heating/cooling costs! 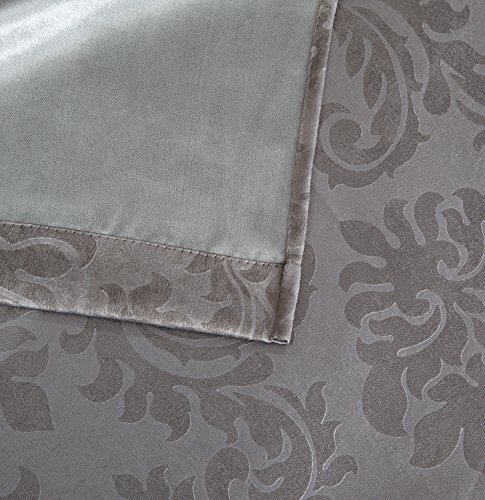 The Ideal Choice For Every Home Our blackout curtains are the perfect choice that matches any home decor. Every package contains an extra wide thermal room darkening grommet curtain panel. 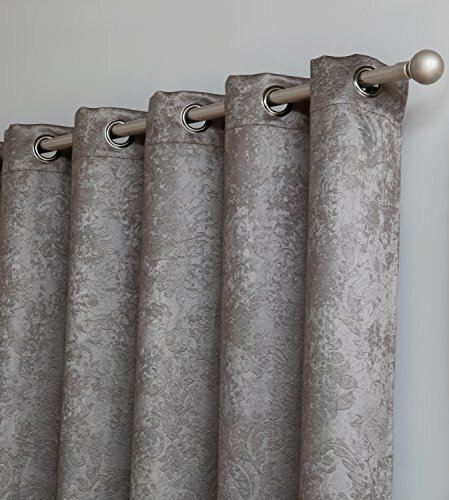 The embossed metal grommets fit up to a 1.5î decorative curtain rod and are easy to keep clean as they are machine washable. ITEM STILL IN STOCK: Order Today While Supplies Last!PERFECT SIZE: Package includes: 1 patio panel 102 inches wide x 84 inches long. Bottom hem 2 inches. 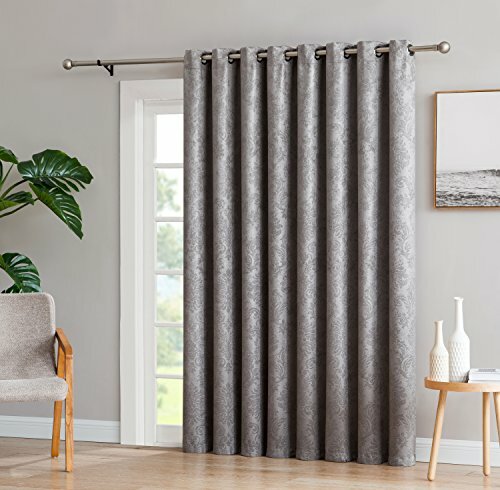 BLOCKS 97% OF SUNLIGHT AND HARMFUL UV RAYS: These unique curtain panels are 100% made out of superior Polyester that provides you with unmatched durability and sunlight protection as it’s a premium, blackout weave. Prevent sunlight from reaching into your room and keep your house warm during the winter and chill during summer’s hot days. THE SMART, MONEY SAVING CHOICE: Our amazing curtain panels can make a major difference in your wallet as well! The special thermal weave can help in keeping your house warm during the winter and cold during the summer and allow you to save a small fortune on electrical bills! Simply put, our curtains are a must-have for every household!